1The key to stress, anxiety and tension is in the belly. Here, indeed, there’s a true second brain, with important functions that are reflected in the entire body, which regulates emotions, memories, and pleasure. 9Help Gostica raise the vibrations and SHARE this article with your family and friends. The key to stress, anxiety and tension is in the belly. Here, indeed, there’s a true second brain, with important functions that are reflected in the entire body, which regulates emotions, memories, and pleasure. For a long time, the intestine has been considered a peripheral structure, appointed to only perform marginal functions. The truth is that nutrition influences our thoughts and our unconscious mind in a proportion up to 90%! Eventually showing a direct link with the development of almost all diseases. We know that, as the concept can appear inadequate, the gastrointestinal system is equipped with a brain. The unpleasant bowel is more intellectual than the heart and could have a superior “emotional” capacity. It is the only organ to contain an intrinsic nervous system capable of mediating the reflections in the complete absence of input from brain or spinal cord. This was stated by Michael D. Gershon, an expert in anatomy and cell biology at Columbia University, author of the bestseller “The Second Brain” – “Just think that the gut, while having only a tenth of the neurons of the brain, working independently, helps to fix the memories related to emotions and plays a key role in signaling joy and pain. 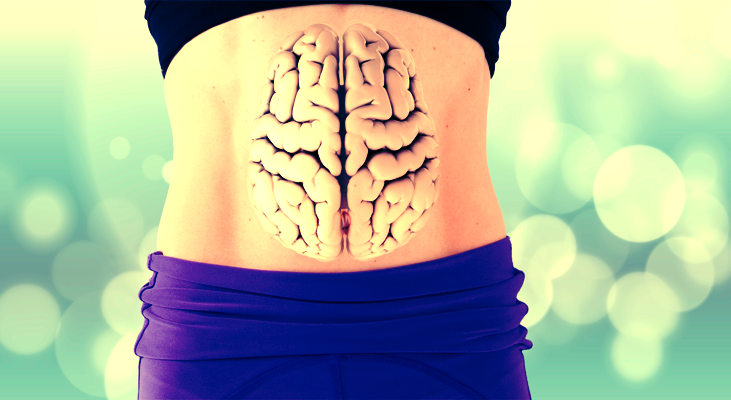 In short, the intestine is the site of a second brain itself. “In the belly, we find a self-neuronal tissue. It is no coincidence that the gut cells – adds Gershon – produce 95% of serotonin, the neurotransmitter of wellbeing. The gut releases serotonin as a result of external stimuli, such as food intake, but also sounds or colors. And internal inputs: emotions and habits. “Studies on genetically manipulated mice, but also in vitro, have demonstrated the existence of a belly-head axis. To Gershon, it’s actually the first to dominate, at least in certain fields. Serotonin is involved in several important biological functions: sleep-wake cycle, sexual desire, sense of hunger/satiety, mood and peristalsis. Having a low serotonin level can lead to mood disorders, sexual health problems, trouble sleeping, trouble defecating, anxiety and contribute to depression. Serotonin is involved in appetite control and eating behavior, resulting in the early appearance of satiety, lower intake of carbohydrates in favor of protein and a reduction, typically, in the amount of food ingested. Not surprisingly, many people who complain about a drop in mood (such as a pre-menstrual depression, (see pre-menstrual syndrome) have an important need for sweets (simple carbohydrate) and chocolate (it contains and promotes the production of serotonin , because it is rich in simple sugars, as well as of psychoactive substances). The number of messages that the brain sends to the central abdominal equal to 90% of total trade, says the researcher. For the most part, these unconscious messages, we perceive only when they become warning signs and trigger reactions of discomfort. “How many -say – have experienced the feeling of “butterflies” in the stomach during a stressful conversation or exam? It’s just one example of the belly emotions, such as nausea, fear, but also pain and anguish. The enteric nervous system communicates with the central one. And when the intestine suffers, for example, for irritable bowel syndrome, the person also suffers psychically. “Children who suffer from irritable bowel syndrome as children, are almost sure to suffer even from great anxiety and/or depression. The guts, is not only related to reactions to ingested food but can think, make decisions, try sensations independently from the brain, as taught by the neurogastroenterology, colitis, ulcers, heartburn etc. are precisely illnesses caused by stress (strong emotions, undigested) and so causal bacteria change because the conditions of the intestinal pH of the environment have changed. Unlike neurons contained in the cranium, the ones scattered throughout the rest of the body can be “massaged”, both with the actual massage that stimulates the tactile corpuscles and muscle fiber and tendon receptors and with movement. Moreover, the visceral-abdominal nerve centers can be stimulated with abdominal breathing (not chest), as taught by all the Eastern disciplines. Stress and anxiety weigh on the intestine and alter its function. But it ‘s also true: diet and intestinal disorders are related to mood changes. In short, in the belly, there is a brain which assimilates and digests not only the food but also information and emotions that come from the outside. And that covers a wide area: the unrolled intestinal tissue has dimensions of 200-250 square meters, and is’ inhabited by 10 trillion bacterial cells. To treat functional disorders of the gastrointestinal tract various meditation techniques have proven useful. [See Mindfulness. Meditation-medicine of the present moment] It is, therefore, necessary to have a healthy diet (no dairy, lots of vegetables, lots of fruit, few animal proteins) and combine foods correctly. Definitly! so true about this. it’s been a very big issue with the gut. still is.